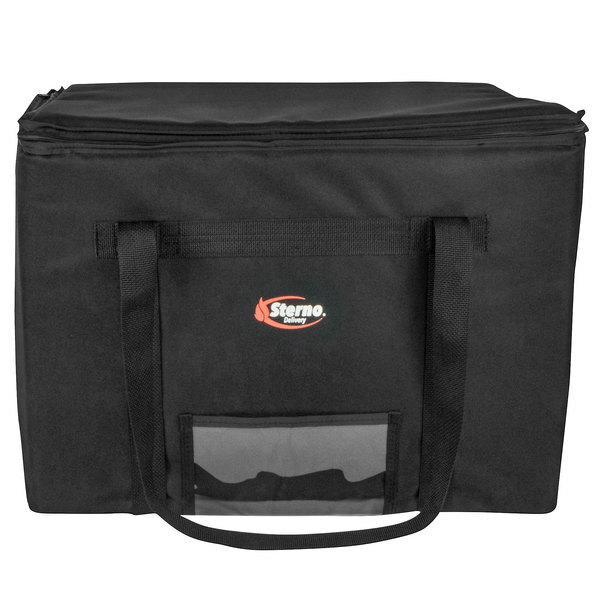 Easily and efficiently carry food to offsite locations thanks to this Sterno Products 70515 Catering Space Saver 24" x 16" x 17 3/4" XL insulated food carrier. Designed to hold up to 4 full size or 8 half size food pans (sold separately), this carrier offers reliable performance. The antimicrobial liner features a seamless design that prevents liquids from seeping through and facilitates a fast cleanup. This liner can be wiped down with soap and warm water to keep it looking and feeling like new at all times. Best of all, you can also rest assured knowing that the seamless construction won't harbor bacteria, mold, or odors over time. 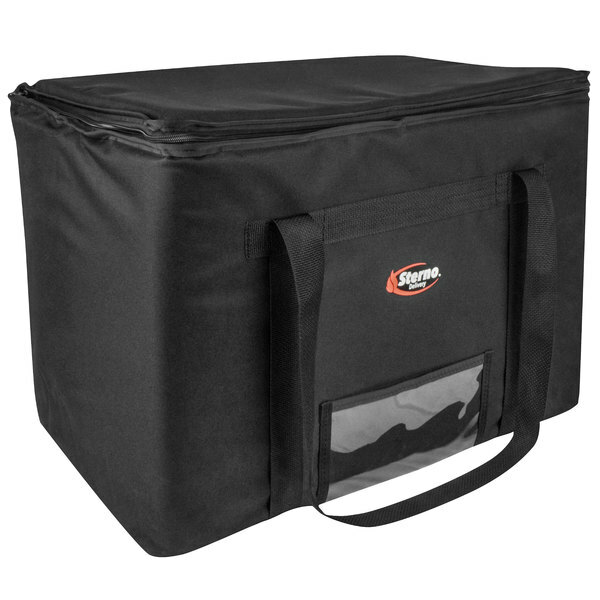 Additionally, this insulated food carrier is lightweight and folds flat for storage when it's not in use, conserving your valuable space. 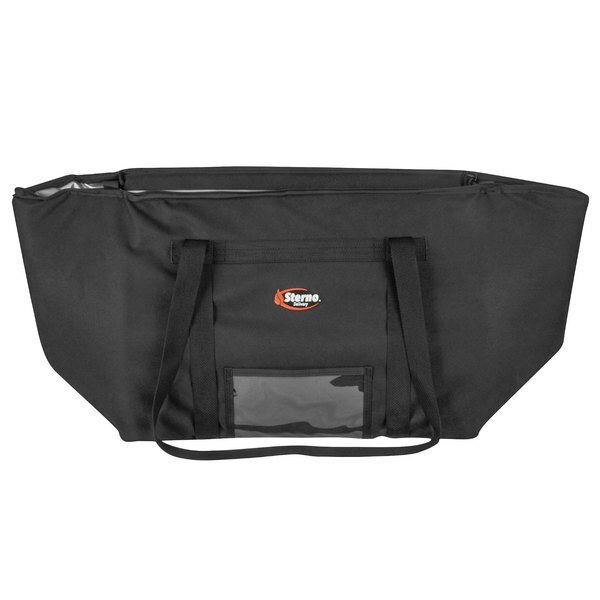 Ideal for transporting meal orders and more to your next offsite catering event or delivery stop, this bag is made to outperform in a rigorous environment. 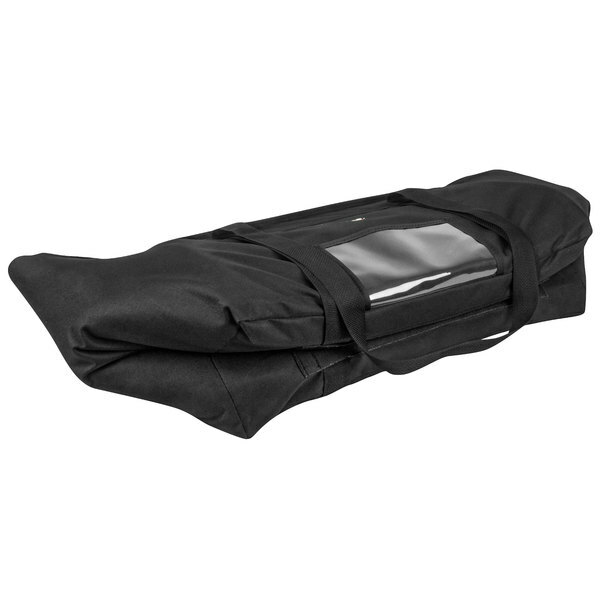 This Space Saver XL insulated food carrier is an invaluable part of any food delivery service operation!